Australia is a lucky country—with so many tropical island destinations nearby, we’re spoilt for choice when it comes to holidays. So why choose the Maldives when there are other destinations much closer? The Maldives is a unique country because its only industry is tourism. This means that nothing can get in the way of your holiday experience—there’s no bustling CBD traffic, and no agricultural run-off from the land. The marine life, free from pollution, is second to none and all the beaches are private. Stay over the water or right at the edge—the choice is yours, and no one will be there waiting for you to buy their souvenirs! Most flights from Australia to the Maldives travel via Hong Kong or Singapore. From these destinations, it’s just a 4 to 6-hour flight directly to Malé. Malé airport is on its own island, Hulhule Island, just across from the capital. Seaplane or boat transfers operate to get you to your resort. No! The Maldives is fun for everyone! If you’re after an action-packed diving holiday or a relaxing break with friends and family, the Maldives is for you! While there are a lot of honeymooners (and a handful of adults-only resorts), there are also islands that cater for families. Travel in the dry season to experience world-famous diving and snorkelling, or hunt for waves to surf in the wet season. There are plenty of water sports to try out and, of course, you can always kick back and relax at the resort! Click here to find out more! 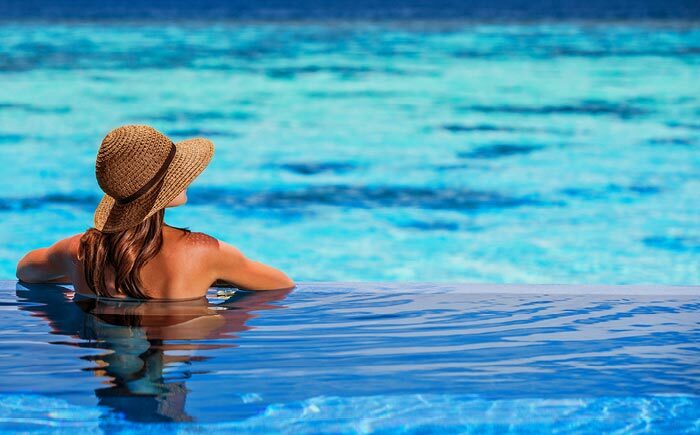 The Maldives is located at the top of the equator and enjoys warm weather all year round. Temperatures average 28°C. Storms blow through the islands between June and August and you can experience 8 hours of sunshine between November and April. Click here for more. Yes, you can, but only in resorts. 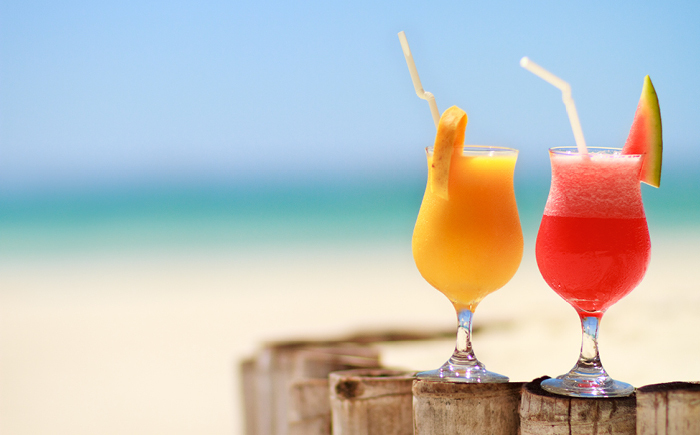 The Maldives is a Muslim country and there are strict rules about the purchase and consumption of alcohol there. You can’t take any of your pre-purchased duty-free alcohol into the country with you, so be careful about when you buy it! Most of the resorts in the Maldives are on private islands. Dress codes tend to be relaxed—tropical resort wear is appropriate. If you do plan to visit a locally inhabited island, it is recommended that you dress modestly to respect the laws of the country. The capital of the Maldives is Malé, located toward the middle of the country’s chain, at the southern edge of the North Malé Atoll. The city is home to over 130,000 people. At just 5.8 square kilometres, it’s one of the most densely populated cities in the world! The Maldives is made up of more than 1000 coral islands, 80% of which rise less than 1 metre above sea level. 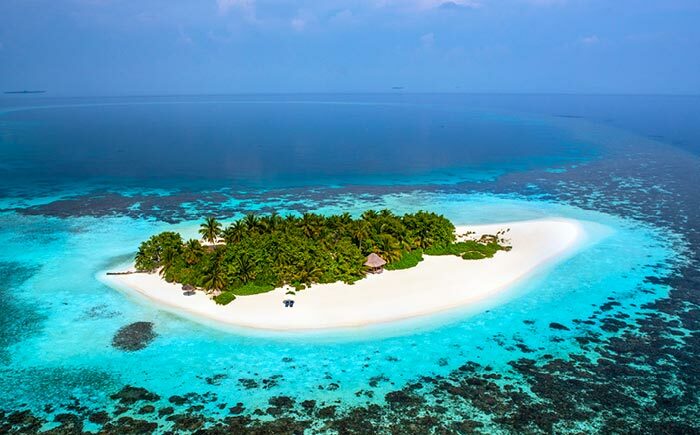 Only 200 Maldivian islands are inhabited, and nearly 100 of these have been developed as luxury tourist resorts. 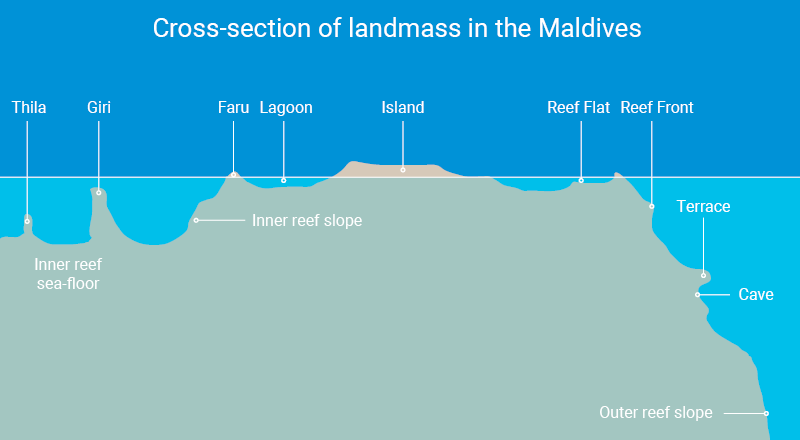 Just 4% of the Maldives is above water. Click here to take a look! The country’s official national language is Dhivehi. This Indo-Aryan language is spoken by over 350,000 people in the Maldives, plus it can be heard in the Union territory of Lakshadweep, India. If you’re not a native Dhivehi speaker, don’t fear—English is widely spoken! 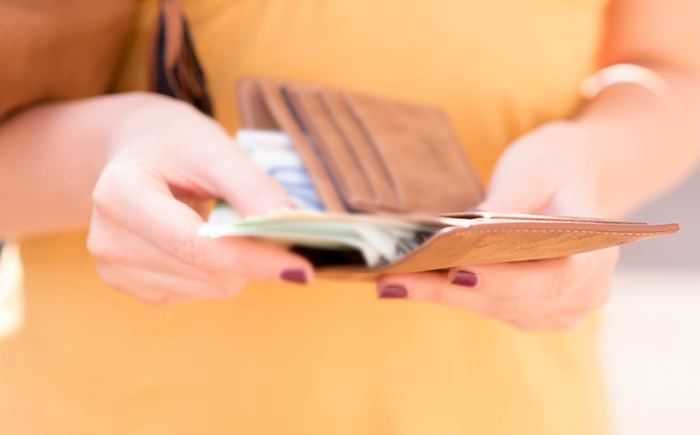 Historical accounts suggest that the earliest form of currency in the Maldives was cowry shells. Luckily, thought, the currency updated to coins and notes in the 1600s! The Maldivian Rufiyaa is the national currency, however US Dollars are used on most resorts.